This slim and lightweight Plasma/LCD TV Stand has been designed to fit into even the tightest spaces. 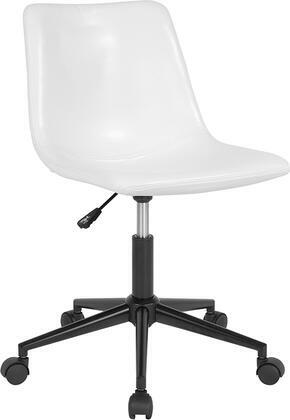 Sleek and elegant design complimented by sturdy aluminum legs and topped with thick 8 mm. tempered clear glass shelves. Stand will accommodate a 24 in. flat panel television. Easy to assemble. Accessories not included. 8 mm. Thick Tempered Clear Glass. Dimensions - 24 W x 16.15 D x 20 H in. Polished and chic corner design Plasma/LCD TV Stand complete with two thick 8 mm. clear tempered glass shelves provide ample storage space for your DVD VCR gaming and/or stereo components. The cord management system reduces unsightly wires. Dimensions - 32 W x 18 D x 20 H in. Elegance and function combine to give this TV stand a striking appearance. Plasma/LCD TV Stand features two thick 8mm clear tempered glass shelves provide ample storage space for your DVD VCR gaming and/or stereo components. Stand will accommodate an 80 in. flat panel television. Easy to assemble. Accessories not included. the middle piece is the 35 in' wide (TVM-002) and the two side pieces are 20 in. 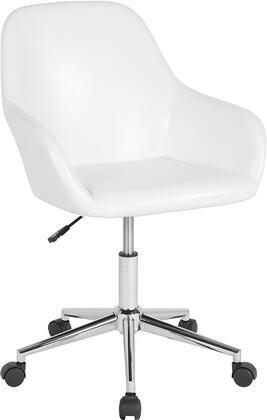 wide (TVM-005) and can be purchased separately. Two 8 mm. thick tempered glass shelves. Dimension - 75 W x 16 D x 30 H in. 30 in. tall so that it can be seen over footboards. Accommodate a 42 in. flat panel television. Dimensions - 35 W x 16 D x 30 H in. Elegance and function combine to give this TV stand a striking appearance. Plasma/LCD TV Stand features two thick 8 mm. clear tempered glass shelves provide ample storage space for your DVD VCR gaming and/or stereo components. The cord management system reduces unsightly wires. Stand will accommodate a in. flat panel television. Dimensions - 45.15 W x 18 D x 20 H in. Elegance and function combine to give this TV stand a striking appearance. Plasma/LCD TV Stand features two thick 8mm clear tempered glass shelves provide ample storage space for your DVD VCR gaming and/or stereo components. The cord management system reduces unsightly wires. Stand will accommodate a 60 in. flat panel television. Holds up to 150 pounds. Dimensions - 60 W x 17 D x 22.5 H.
This contemporary style glass and aluminum computer desk will be a great addition to any home or office. The thick 8 mm. tempered clear glass desk top gives this desk a distinguished finish. Two shelves provide ample storage space for your printer and the tower. The desk is supported by round metal tubing making this desk versatile as well as attractive. Supported by round 50mm metal tubing. Finish - Aluminum and Glass. Dimension - 42.5 W x 24 D x 29.25 H in. This modern looking corner computer desk has everything you need. With its great design you can put this anywhere in your room to save space. The whole desk only needs 40 in. of wall space to fit in and gives you a large work area for your computer or laptop. With ample space for components and CPU towers this unit will work great for all spaces. Also look for matching extension table that will add another 35.5 in. of work space to this desk. Dimension - 51.5 W x 38.25 D x 29.5 H in. This stand is used as part of the TVM-075 and TVM-082 Extended Plasma Stands. Dimensions - 42 W x 16 D x 30 H in. This contemporary laptop utility table is perfect for lounging around surfing the net. 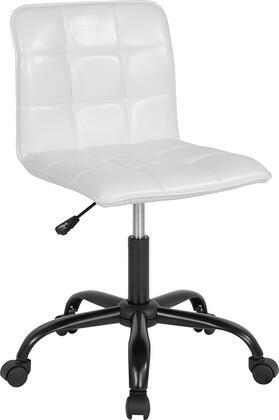 With the adjustable height feature you can use it on the couch or have it beside your desk as a writing table. Can be used in so many different ways. With the Caster feature you are able to roll this unit around very easily making it very convenient for our fast paced life style. 8 mm. thick clear tempered glass. Adjustable height from 21-31.5 in. Sets on casters for mobility. Dimensions - 25.6 W x 15.8 D x 31.5 H in. This modern looking corner computer desk has everything you need. With its great design you can put this anywhere in your room to save space. The hole desk only needs 40 inch. of wall space to fit in and gives you a large work area for your computer or laptop. With ample space for components and CPU towers this unit will work great for all spaces. Also look for matching extension table that will add another 35.5 in. of work space to this desk. Dimensions - 51.5 W x 38.25 D x 29.5 H in. RTA Home & Office TVM-002W Extra Tall Frosted Glass Gloss White LCD & Plasma TV Stand - 35 in. Elegance and function combine to give this TV stand a striking Gloss White appearance. Plasma/LCD TV Stand features two thick 8mm Frosted tempered glass shelves provide ample storage space for your DVD VCR gaming and/or stereo components. Stand will accommodate a 80 flat panel television. Easy to assemble. Accessories not included. This unit comes in 3 pieces and can be configured differently. Extra Tall Frosted Glass Gloss White LCD & Plasma TV Stand - 35 in. RTA Home & Office TVM-0075W Extra Tall Frosted Glass Gloss White LCD & Plasma TV Stand - 75 in. Extra Tall Frosted Glass Gloss White LCD & Plasma TV Stand - 75 in. Size: 37 - 63 in. Budgets and tracks personal and/or company spending. Provides both weekly and monthly tracking and includes a yearly summary. Appendices include areas for recording expenses for tax preparation investments insurance and health expenses and building improvement projects. 7 in x 10 in. Book lays flat for easy use across the pages.12 EA per CT.